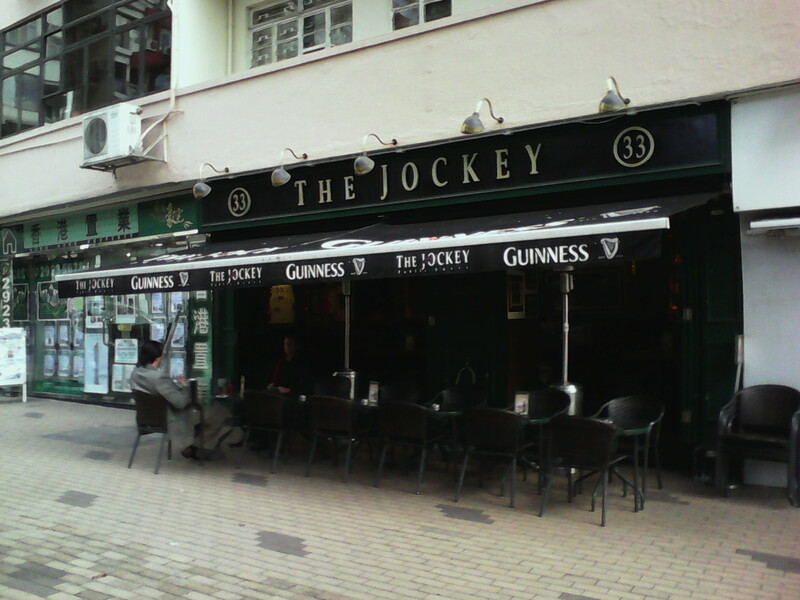 First stop at the other end of the race course (and before we actually went into the races) was the Jockey pub, which has a large selection of boutique beers from around the world, both in bottles & on tap. It has an Irish feel to it, and that was also reflected in the warmth of the welcome. Sadly, there’s no local beers. However, I choose Liberty Ale from San Francisco, whilst Rog goes for a Kiwi Monteith’s Original Ale. And they’re off! 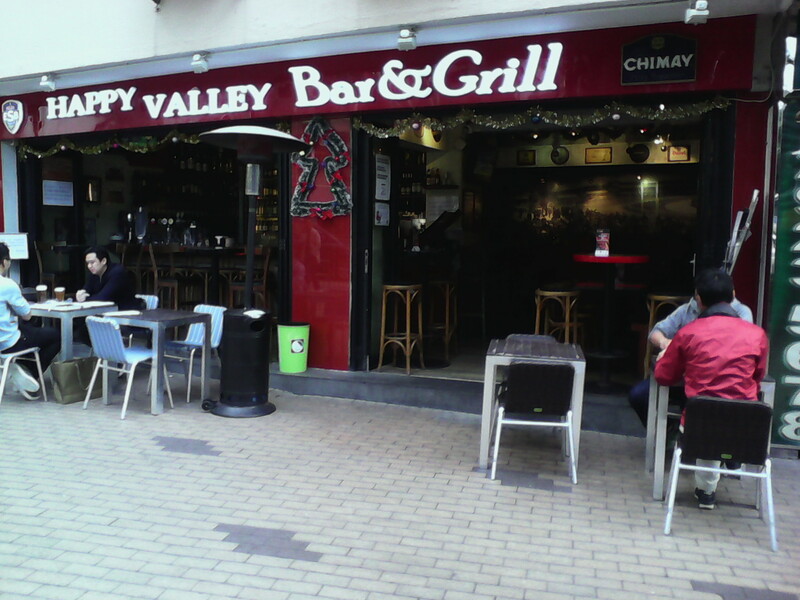 However, as the race to try as many beers has already started, I wasted no time in heading conveniently right next door to the Grill, which had 6 local Hong Kong craft ales, sadly all in bottles – their taps selection was Guinness, Leffe, Chimay, Vedett, and Stella Artois. They had their licence revoked in 2013 but got it back last December – something to do with serving alcohol on the street outside, which they’ve obviously rectified since they still have outdoor tables, which were well served. Whilst perusing the menu, I also was not surprised to see the selection of bottled beers from my local brewery, St Peters. 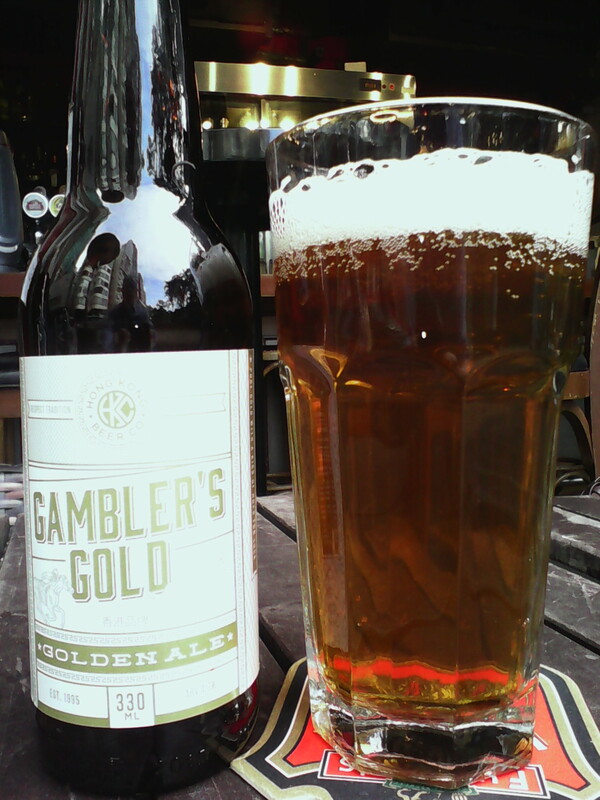 I started with an entry-level 4.6% Gambler’s Gold golden ale. 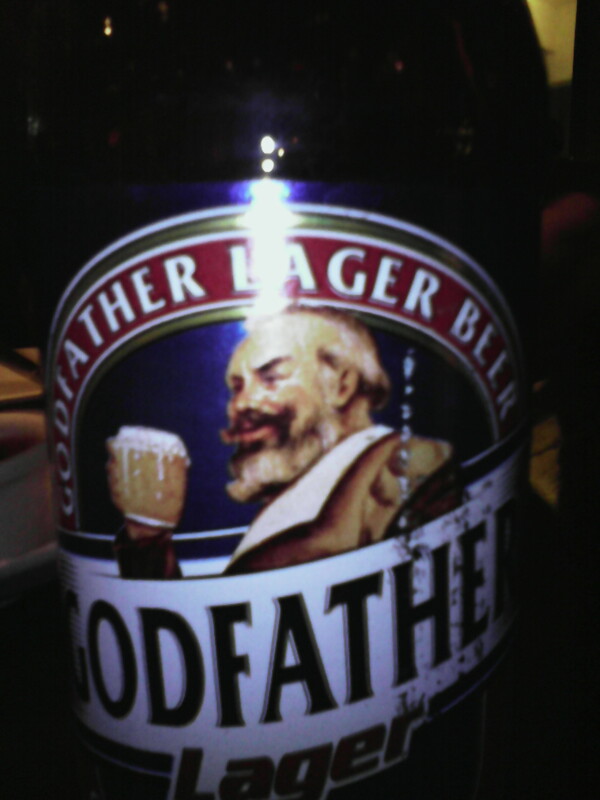 Brewed by the Hong Kong Beer Company, the first chaps to start brewing in Hong Kong, whose own website advises that it’s “wonderful with the subtle flavors of local Cantonese dishes” – hardly surprising, as you wouldn’t want anything too strong in flavour overpowering the blandness of the beer. 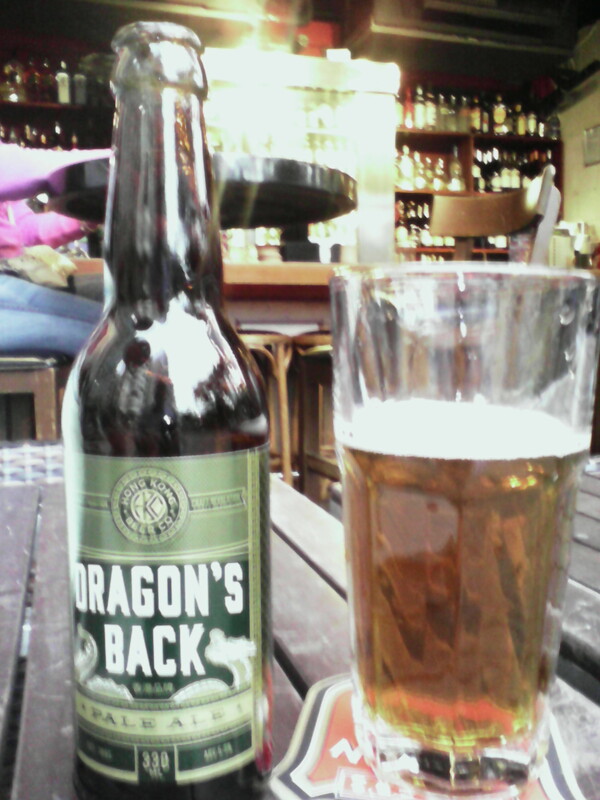 I polish it off and take on my next sample: Dragon’s Back Pale Ale, also brewed by the HKBC. The stakes aren’t good for HKBC at this stage, they’re already behind a furlong or two. Dragon’s Back is better. A little hoppy, maybe it’s an attempt to brew an American pale ale for the local Chinese taste, but HKBC certainly need to acquire a whip to encourage their head brewer to be a little more adventurous, especially since there are so many Belgian beers, for example, readily available and proven here. The race continues into the wee hours tonight. Hopefully, we’ll find something decent.